We have a document scanning bureau located in Essex, serving London, the Home Counties and the South East. Using the equipment and skills within our bureau we can convert your paper documents to electronic images, uploading them together with relevant metadata to a location or system of your choice. We also provide a cloud-based EDRM system. Why choose us as a scanning bureau? Fundamentally, because we care! Document management is our business. We take pride in looking after your documents whilst they are in our custody and in producing high quality images and data. We are also used to handling all kinds of jobs, large or small, complex or simple...all for a very competitive price! 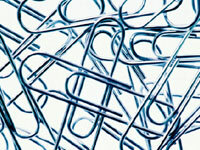 Preparation of documents for scanning, including removing staples, unfolding documents, creating batches etc.